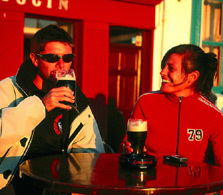 When our guests are asked which cycling trip in Ireland they loved the most, the places where the people are the friendliest, the landscape awesome and the villages most fun, our West Coast Adventure Guided tour ranked as number one followed closely by our Scotland Outer Hebrides Guided tour. Don’t see what you are looking for? Send us an email to us at tours@cyclewest.com and let us know what you are looking for! The Beara Peninsula in West Cork, is possibly the most beautiful peninsula's in Ireland Its landscapes and magical islands are home of many myths and legends. Lush vegetation and sub-tropical shrubs lend an almost Mediterranean feel to this beautiful coastal route. Savor the solitude the breath-taking vistas as you cycle through a dramatic mountain pass. A warm welcome awaits. Self Guided, 8 Days/ 7 Nights, €995 per person sharing. Award winning 'Bike The Cotswolds and More' Bike tour takes you through the beautiful English countryside and explores a host of iconic places. 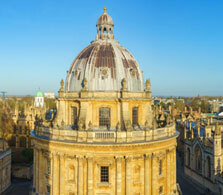 From London to Windsor, Oxford, Churchill’s Blenheim Palace, Shakespeare’s Stratford and the Cotswolds. See the REAL England in all its glory. 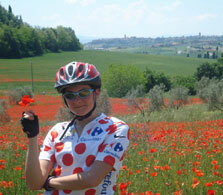 Please contact us at tours@cyclewest.com for custom tours, guided tours and details. 6 day / 5 night, Self Led tours, starting from USD 1949.00. 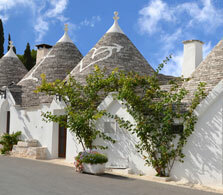 Luxury culinary bike tour in Puglia,voted one of the top biking destinations in the world in 2014. 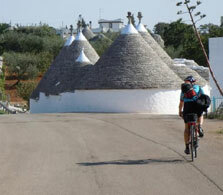 With its predominant flatness, Puglia is an ideal cycling territory. Explore a pristine coastline and the quiet back roads of this unique region while enjoying cooking classes, wine and olive oil tastings. Combine this with historic towns, ancient archaeological sites and luxurious hotels and you have a bike trip your cannot afford to miss! Guided Tour, 7 Days/ 6 Nights, €2450 per person sharing. 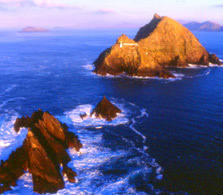 The Irish speaking Dingle Peninsula literally lies at the end of Europe where you will find the iconic Connor Pass, Slea Head, Gallarus Oratory and the holy mountain of Mount Brandon. At almost every turn there are spectacular views of mist-covered mountains and wild stretches of uninhabitable coastline. 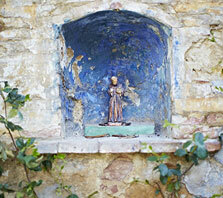 The unhurried pace of life here inspire visitors from all over the world to return time and again. 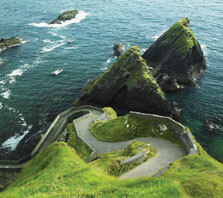 Self Guided, 8 Day/7 Night, €949 per person sharing. This Authentic Culinary and Cooking Bike tour in Puglia reflects all that is authentic, culturally rich and sustainable in the world of travel today! 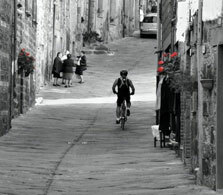 Bike through Adriatic fishing ports and venture inland past olive groves, vineyards and grazing sheep, enjoying the stunning countryside and unique architecture and culture of this wonderful region. Sample the locale cuisine and world renowned olive oil at wine before relaxing in luxurious and historic hotels!Culinary and Cooking Guided Tour, 7 Day/6 Night €2800 per person sharing. 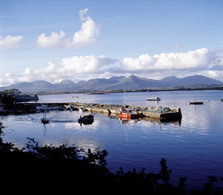 With the highest mountain range in Ireland as a backdrop, the Ring of Kerry traces the coastline of the Iveragh Peninsula encompassing historic houses, Killarney National Park, historic Derrynane and picturesque villages. 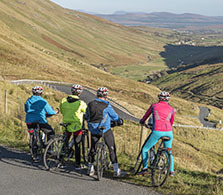 This tour of Kerry's most famous region allows cyclists to enjoy the natural beauty of 'The Ring' while maintaining a quiet and relaxed pace. An alternate route has been devised especially for travel on bike in order to avoid tourist heavy spots and to reveal less explored gems. 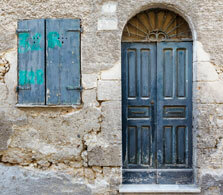 Self GuidedTour, 8 Day/ 7 Night, from €975 per person sharing. 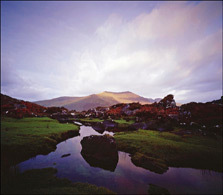 Located in the peaceful and pristine West Coast, Connemara is a haven for outdoor activities, especially biking. This guided tour takes you through the spectacular beauty of the region, with its majestic mountain lakes, rugged Atlantic shore, spectacular cliffs and Killary Harbour – Ireland's only Fiord. 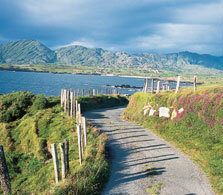 Add Irish hospitality in local villages and towns and you have an exceptional trip to suit any occasion! Guided tour, 6 days / 5 nights, Charming Inns or Luxe Lodges, Euro 1395.00 /2095.00 per person sharing depending on accommodation.